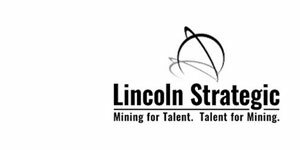 Lincoln Strategic is an organization focussed on corporate performance improvement in the mining and metals industry. Exceptional performance is attained by exceptional teams of highly qualified, experienced and passionate professionals. Thus, our primary focus is the recruitment and placement of such professionals. Our management consulting activities provide the support services to enhance and strengthen these high performance teams to ensure efficien t setting and attainment of corporate goals. 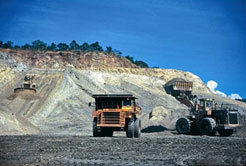 Today, Lincoln Strategic consists of a global team of recruitment specialists who all have mining industry experience. Lincoln Strategic has successfully completed searches in Canada, USA, Mexico, U.K., South America, Africa, Kazakhstan, Armenia and Australia. We focus on the professional level roles such as Geologist, Mining Engineers, Metallurgists, Environmental Engineers, Plant Management, Project Management, General Management, Financial personnel and executives. Human Analytics: Predictive Success Profiling, Cognitive Testing, etc. Mine Superintendent, Central US, USA Hot! Maintenance Superintendent, Central US, USA Hot! Senior Mine Engineer, Central US, USA Hot! Senior Mine Engineer - Mine Design, Central US, USA Hot! Senior Planning Engineer, New Caledonia, New Caledonia Hot! Senior Project Manager, New Caledonia, New Caledonia Hot! Mine Controller, Timmins ON, Canada Hot! Mine Controller, Timmins, ON, Canada Hot! Maintenance Supervisor, Princeton, BC, Canada Hot! General Foreman - Shovel and Drill, Princeton BC, Canada Hot! Rock Mechanics Engineer - Underground Operations, United States, USA Hot! Design Manager, Americas, International Hot! Project Manager, Santiago, Chile Hot! 3D Designer, Toronto ON, Canada Hot! Senior Tailings / Geotech Engineer, QC, Canada Hot! Rock Mechanic Engineer, Northern ON, Canada Hot! Project Controls Manager, Toronto ON, Canada Hot! Manager of Development, Toronto ON, Canada Hot! Mineral Processor, Toronto ON, Canada Hot! Field Engineer, Toronto ON, Canada Hot! Study Manager - Mineral Processing, Toronto ON, Canada Hot! Permitting Coordinator, ON, Canada Hot! Senior Mine Planning Engineer, BC, Canada Hot! Project Manager - Execution, Toronto ON, Canada Hot! Manager of Accounting, Toronto, ON, Canada Hot! Senior Project Manager, Toronto ON, Canada Hot! Health and Safety Manager, BC, Canada Hot!